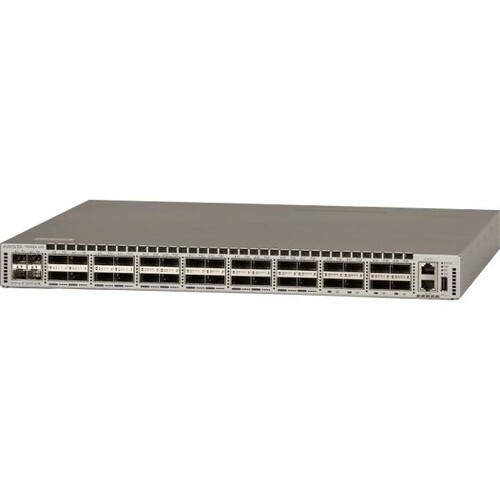 The Arista 7050QX are members of the Arista 7050X Series and key components of the Arista portfolio of data center switches. 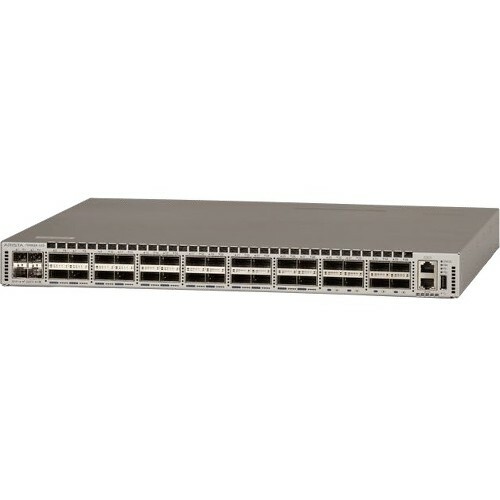 The Arista 7050X Series are purpose built 10/40GbE data center switches in compact and energy efficient form factors with wire speed layer 2 and layer 3 features, combined with advanced features for software defined cloud networking. Increased adoption of 10 Gigabit Ethernet servers coupled with applications using higher bandwidth is accelerating the need for dense 10 and 40 Gigabit Ethernet switching. 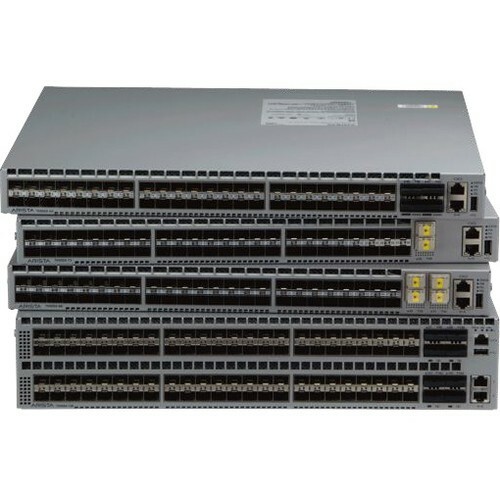 The 7050QX Series support a flexible combination of 10G and 40G in a highly compact form factor that allows customers to design large leaf and spine networks to accommodate east-west traffic patterns found in modern data centers, high performance compute and big data environments. Featuring 32 QSFP+ ports in a 1RU form factor the switches deliver feature rich layer 2 and layer 3 wire speed performance with an overall throughput of 2.56 Tbps. For configuration flexibility all models support up to 32x 40GbE ports or 24 QSFP+ ports can be used as 4x10GbE for a 96x10GbE and 8x 40GbE system. 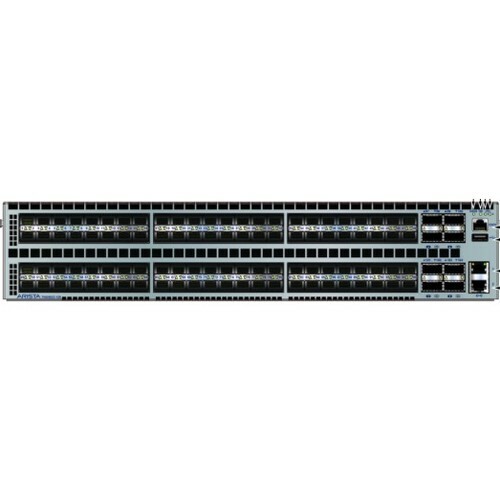 Additionally the 7050QX-32S and 7050QX2-32S feature four SFP+ ports that are internally shared with the first QSFP+ port for directly connecting 10GbE and 1GbE interfaces. The Arista 7050QX switches offer low latency from 550ns in cut-through mode, and a shared packet buffer pool that is allocated dynamically to ports that are congested. With typical power consumption of less than 5 watts per 40GbE port the 7050QX Series provide industry leading power efficiency. An optional built-in SSD supports advanced logging, data captures and other services directly on the switch. Combined with Arista EOS the 7050QX Series delivers advanced features for big data, cloud, virtualized and traditional designs. The Arista 7050X runs the same Arista EOS software as all Arista products, simplifying network administration. Arista EOS is a modular switch operating system with a unique state sharing architecture that cleanly separates switch state from protocol processing and application logic. Built on top of a standard Linux kernel, all EOS processes run in their own protected memory space and exchange state through an in-memory database. This multi-process state sharing architecture provides the foundation for in-service-software updates and self-healing resiliency. With Arista EOS, advanced monitoring and automation capabilities such as Zero Touch Provisioning, VMTracer and Linux based tools can be run natively on the switch with the powerful x86 CPU subsystem.